The past couple weeks have once again been a whirlwind. My mom just came for a visit the past two weekends, so we spent some time wandering around London. On top of that, Ben just finished his time at university and has started a new job! All in the same week! He’ll be working in the graduate program while he finishes writing his PhD thesis. This week, I just whipped up a quick batch of pumpkin cookies. I made these cookies last year and they were incredibly addicting. This year, I decided to ramp it up a bit by adding in chocolate chips, making them even more delectable! They were an easy bake to satisfy my sweet tooth while still allowing us to get back into our routines. 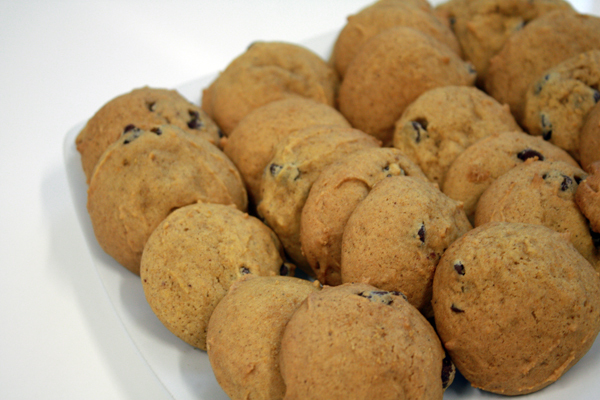 To make these super-quick cookies, check out the original pumpkin cookies recipe, and just add 2 cups of chocolate chips!